As industry trend setters, TruStile doors are known for their superior design, customizable options, and ability to make a difference you can see and feel in your doors. At the AOA Design Center, we believe every opening is an opportunity to make a statement. With TruStile Doors, you make the statement that the “status quo” isn’t for you. 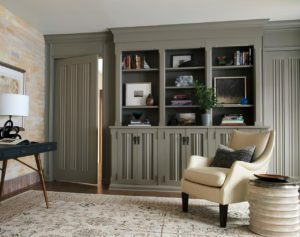 A door from TruStile states that you look for more when designing your space. From the show-stopping entrance to the sound-dampened theater room, TruStile has all your design-driven solutions covered. Classic panel door designs with stile and rail construction. 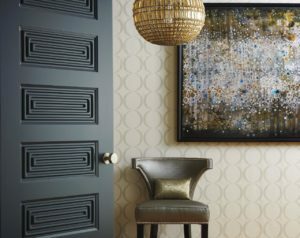 Sleek and streamlined door styles for today’s modern spaces. Glass door designs to let light and personality shine. Specialty door designs for unique applications. 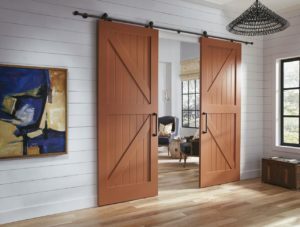 A multitude of door construction and finish options to meet your design - and budgetary - goals. Tons of hardware options to achieve the exact look and feel you’re going for. We know you want the perfect door for the best value to match your project. At AOA, we don’t think you should sacrifice quality to get a door that fits your budget. TruStile doors have maintained a commitment to quality for over 20 years. They are favorite choice for architects and interior designers because of their beauty, their design flexibility, but most of all because of their consistent quality that is immediately apparent just looking at them. Imagine what this caliber of design could create in your home! Each of the 12 Authentic Designs series provides a door selection to complement popular architectural styles, as well as design and material options to help you achieve your desired look. Learn more about AOA's interior doors. No matter the size of the project or how complex the design is, we are here to make it easy for you. AOA will help you sort through the best options for your project and coordinate the entire process. Every TruStile door is made to order to ensure quality. Trustile doors is also known for having the shortest lead times in the industry. When we’re handling the entire process for you, from order placement to customer service after installation, you can rest assured you won’t be sacrificing quality to save yourself time and money.